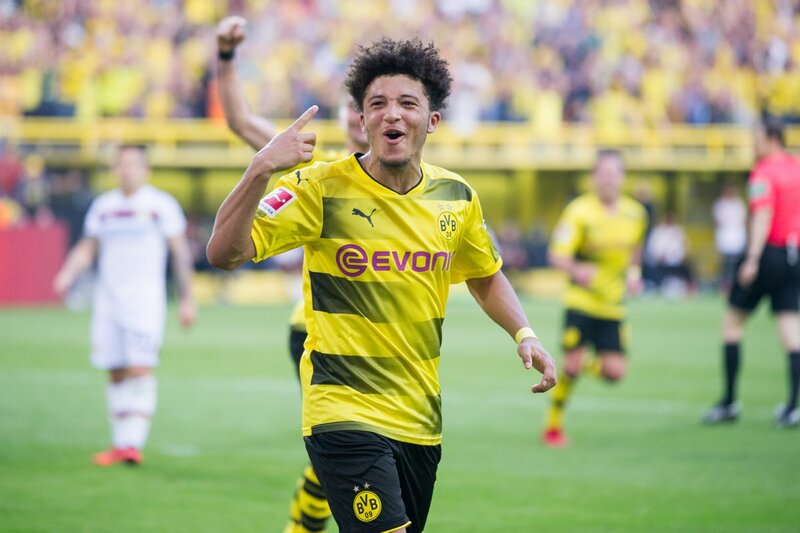 Borussia Dortmund have reportedly placed a £100m price tag on the head of Jadon Sancho who is understood to be attracting interest from elite Premier League clubs. The 18-year-old has only started one league game for the German outfit so far this season, but his form earned him a maiden call-up to England squad for the double header against Croatia and Spain. With the likes of Chelsea, Liverpool, Manchester United, Arsenal and Tottenham Hotspur have all been linked with a move for the former Manchester City youngster, and The Mirror reports that BVB are aware of the interest and already bracing themselves for bids next summer. However, the report also adds that the Bundesliga outfit believe the youngster could be a £100m player in the future, following in the footsteps of Barcelona forward Ousmane Dembele. Dembele, 21, left Dortmund for Barcelona in 2017, and the club are hopeful that Sancho could fetch a nine-figure amount.